As easy as it is to call an Lyft or an Uber nowadays, there are still some small annoyances with the service. One of the challenges to ride sharing is identifying the car picking you up. Usually, passengers take note the location of the car, of the color and make as well as the license plate to ensure they’re getting into the right car. It’s not difficult but it’s takes *some* of the convenience out of the service. Lyft recognized this. I’ve heard multiple stories from drivers about people jumping into their car, driving a bit only to realize that the passenger got into the wrong car (probably a Toyota Camry or Prius if you’re in San Francisco). The next Lyft icon, Amp sits right on your driver’s dashboard, lights up, and changes color. To find your driver more easily during pickups, the color in your Lyft app will match the glow of your driver’s Amp. 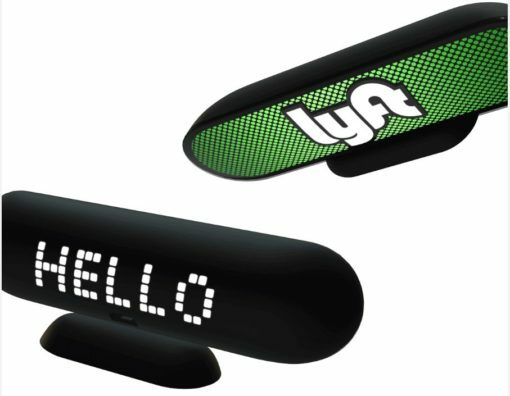 From personalized greetings to local surprises, Amp was designed to make your rides even smoother and more fun. I have yet to see one of these out in the wild, but applaud Lyft for coming with a cute and clever way to help eliminate confusion.